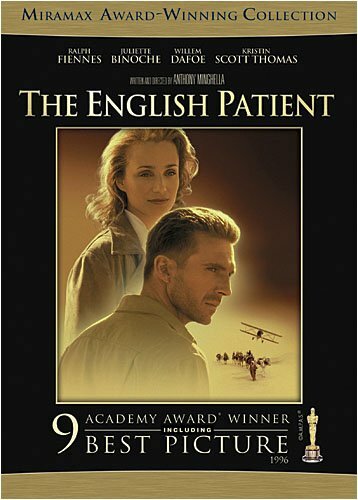 The English Patient - BUY THIS DVD! THE ENGLISH PATIENT is an epic, sweeping adaptation of Michael Ondaatje's richly layered, WWII-era novel chronicling two periods in the life of European explorer Count Laszlo Almasy, whose torrid affair with a colleague's wife is countered by the beginning of the war, allegations of Nazi sympathies, and disfiguring injuries. The patient's stay at the ruins of an Italian monastery under the care of an emotionally injured French-Canadian nurse serves as a framing device for his intriguing story. Cold Mountain - BUY THIS DVD! HOW TO WIN? SIMPLE. FIRST - Rate and place your comments to ANY 5 movies in our database. (Start with "Cold Mountain" & "English Patient" - Wink!) Just scroll down to the bottom of any review, drop a quickie comment and click "Submit Your Comments". THEN SEND IN YOUR NAME AND ADDRESS TO contests@efilmcritic.com. Put "ARE WE THERE YET?" in the subject line and cross your fingers. There will be 3 lucky winners of the DVD. We will draw names and one of the DVDs from Buena Vista will be yours. Only 1 entry per household.